Located on the outskirts of Baltimore, MD, St. Timothy’s School is one of the top ranked girls private schools in all of Maryland. 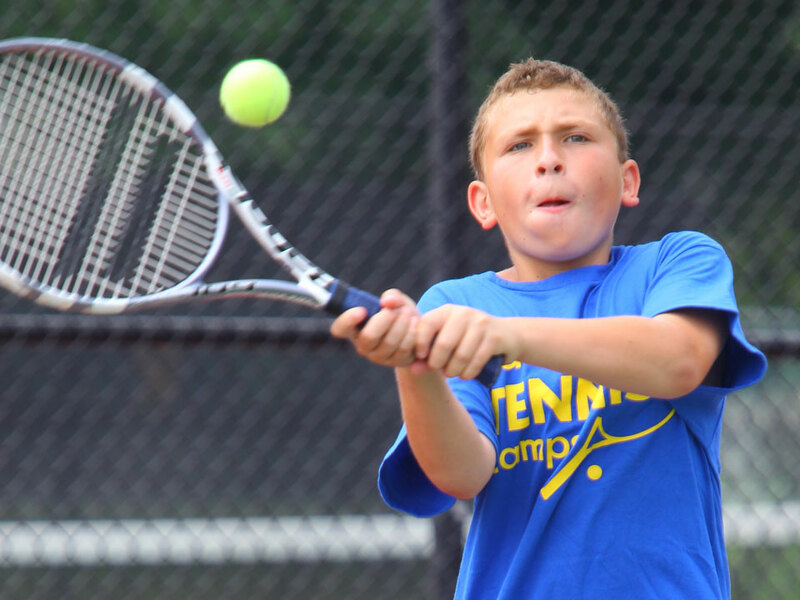 Campers will train on their 6 court facility and have access to their amazing athletic facilities on campus. Check In: 12pm – 1pm for both commuters and overnight campers. Tip for Extended Day Campers is to come at 12:30pm. First meal is Dinner. Check Out: Parents are invited to attend skills review session at 9:00 am. Program ends at 11:30 am. Last meal is breakfast. The nearest airport is Baltimore-Washington International Airport in Baltimore, MD. 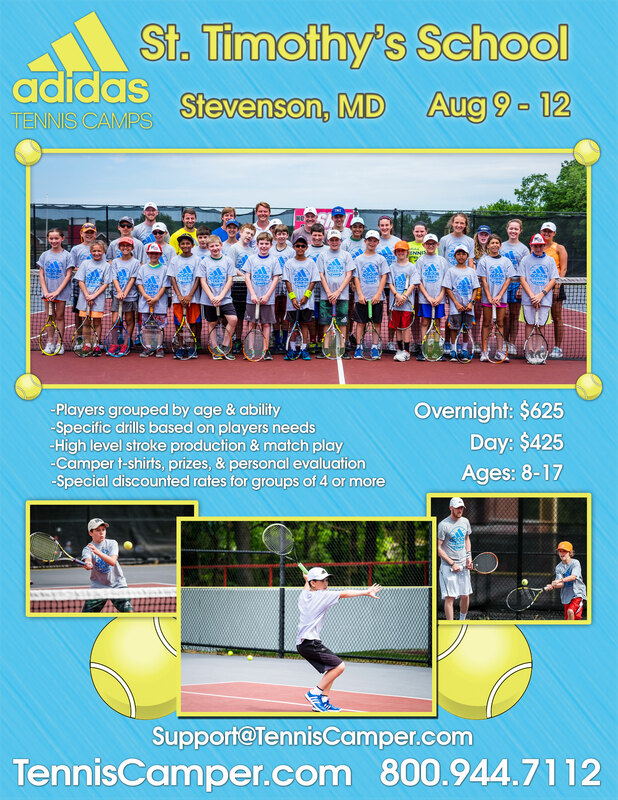 You are responsible for getting yourself to and from campus, adidas Tennis Camps does not provide transportation. 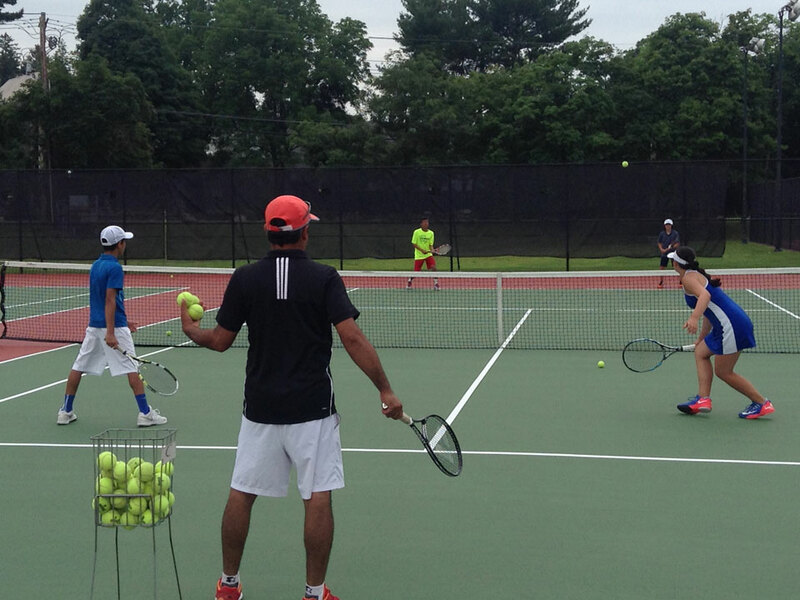 Our summer tennis Camp Coaches and Directors are among the best coaches and tennis pros in the world today. 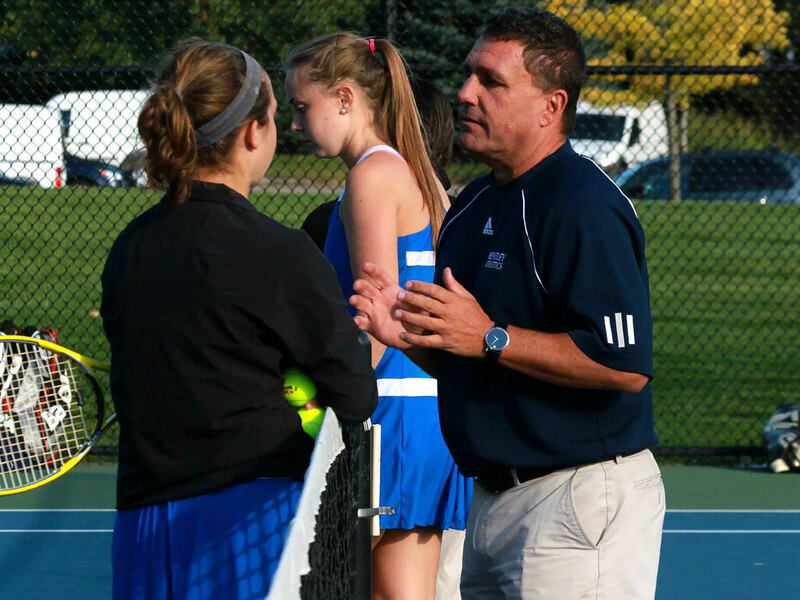 Our pros are dedicated to the personal development and improvement of each tennis player. 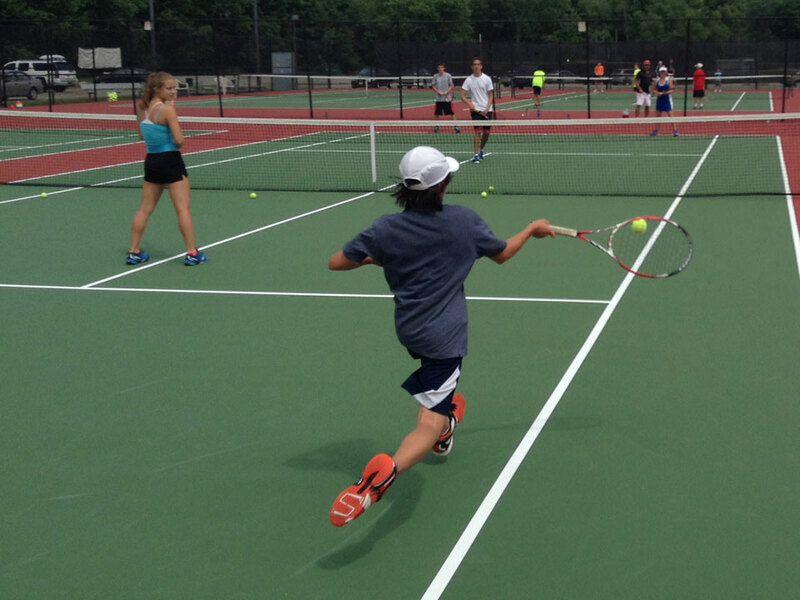 They will provide all campers with an unmatched opportunity to improve their tennis game while having fun.